« Day 161 in Beijing: Wine Labels Done Right…And Wrong. 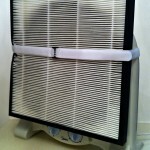 Day 161.5 in Beijing: Day 2 of R2D2 Air Filter. 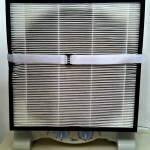 Our “grand” experiment with our Smart Air Filter buddy, R2D2, continues unabated. Honestly, it is disgusting what Jill and I have been breathing for the past months. I’m glad that we got our little buddy and are using it almost 24 hours a day. 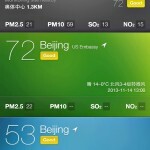 The really scary part is that this is the “low pollution” time in Beijing. Tomorrow, it all starts to go very bad. November 15th is the day the government decides to turn on the coal plants for heating during the winter. Our heaters actually started up today and it was horribly warm inside our apartment. We are talking sauna style heat. And, yep, you got it right, there is no way to turn the heat off. We ended up opening our windows for an hour and enjoying the last bit of clean air we’ll have for a few months. We did turn R2D2 off for about 2 hours while we did that because it would have probably choked and died and we don’t want to kill the machine that is probably going to save our life while we live in Beijing. 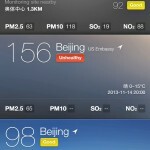 Also, the two air quality pictures were taken a few hours apart from each other. The first was taken with the sky perfectly blue and the second, taken only a few hours later, made it impossible to see the sky. R2d2 day 2. Getting blacker by the day. A little less pollution in our lungs and bodies. A gorgeous start to the day. An unhealthy end to our day.